Walk past deep fissures in the rock on the way to Taft Point which juts out thousands of feet above Yosemite Valley. From the trailhead, take an immediate left and travel through a mix of trees and manzanita before crossing over Sentinel Creek. You enter a dark and cool forest with a wonderful collection of large, tall trees before breaking out into the open granite. The valley comes into view as you approach the steep, granite cliffs. Huge cracks in the rock, called fissures, allow you to see deep into the rock. 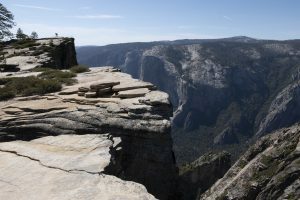 Continue out to Taft Point where a railing at the very tip of this rock outcropping allows you to look straight down thousands of feet. Views include El Capitan and Yosemite Falls. 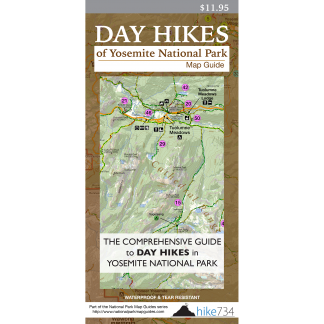 Combine this hike with Sentinel Dome for a wonderful loop (see Sentinel Dome/Taft Point Loop).